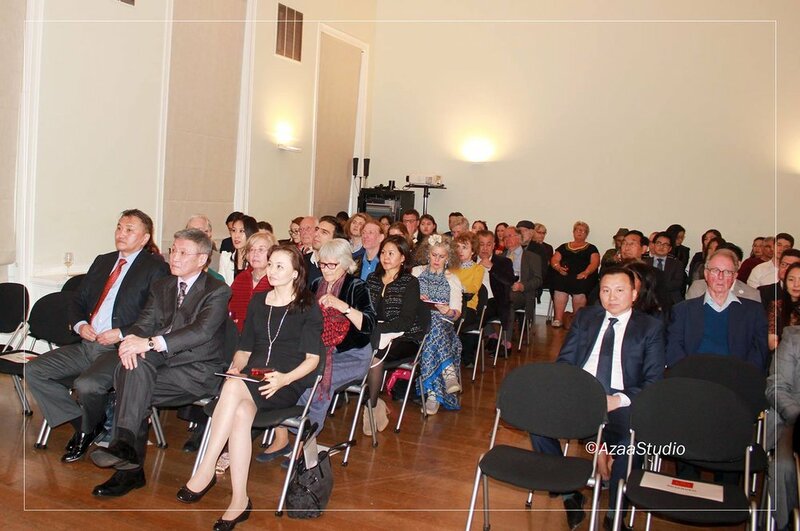 "A BREEZE FROM THE STEPPES: SHOWCASING MONGOLIAN CULTURE"
"A BREEZE FROM THE STEPPES: SHOWCASING MONGOLIAN CULTURE", co-organised and presented by the Embassy of Mongolia in the UK and Cultural Envoy of Mongolia Unurmaa Janchiv was a success! Photo by Azaa Studio To coincide with the 6th Mongolia Business Forum organised by the Mongolian British Chamber of Commerce and the 13th Mongolia Development Forum in London organised by the Mongolian Association in the UK, Embassy of Mongolia in the United Kingdom and Cultural Envoy of Mongolia Unurmaa Janchiv had successfully organised a drinks reception with Mongolian traditional and classical cultural performance at Asia House on 5 April 2017. Over 100 invited guests attended the cultural evening, which was opened by H.E. Ambassador Bayar Sanjaa and presented by Unurmaa Janchiv, Cultural Envoy of Mongolia at the beautiful Grade-2 listed building in the heart of London. 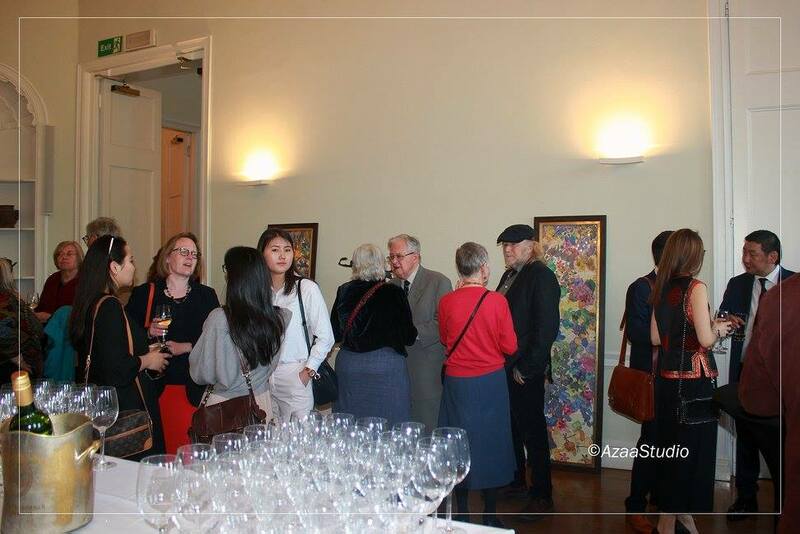 The guests viewed with delight the artworks by Mongolian artists T. Nurmaajav, Ch. Sendem, D. Tuvdendorj, B. Erdenebayar and Sh. Sainzul, displayed in the reception room before being invited to the concert hall. 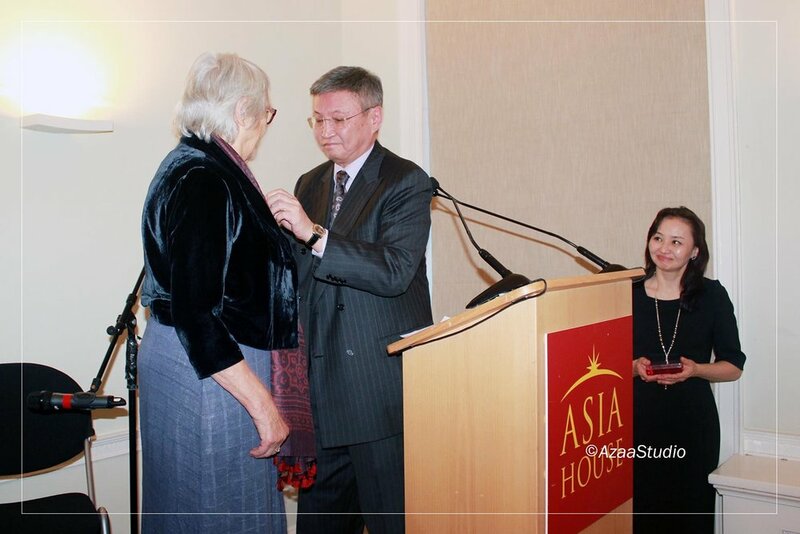 At the start of the event, Mrs Sue Byrne, a British national, who worked on cultural heritage projects for many years and prepared a database chronicling the temples of Mongolia that ever existed, was presented with the President's Order of the Polar Star Award on the night in recognition of her dedication and hard work. The Polar Star is the highest award presented to a foreign national. Amazingly talented artist Soyol-Erdene Tserendorj played beautiful Mongolian and English melodies on morin khuur combined with undertone singing. Mezzo soprano Ayana Sambuu and Italian baritone Franco Cherri mesmerised our audience with wonderful Italian opera arias. They are both in the cast of a successful international collaborative project "Le Cenerentola" (Cinderella), which is due to be performed at the Academic Theatre of Opera and Ballet in Ulaanbaatar this summer on 2 July 2017. Ayana's repertoire included Sharav's "My beloved Father and Mother". Both opera singers were accompanied by a talented pianist Mandakhtuya Dorj, who also played "White Stupa" by a famous Mongolian composer Jantsannorov Natsag. The evening was kindly supported by Asia House, a reputable establishment promoting Asia and bilateral relations between the continent and the UK, and a long-term partner of the Cultural Envoy and the Embassy of Mongolia. 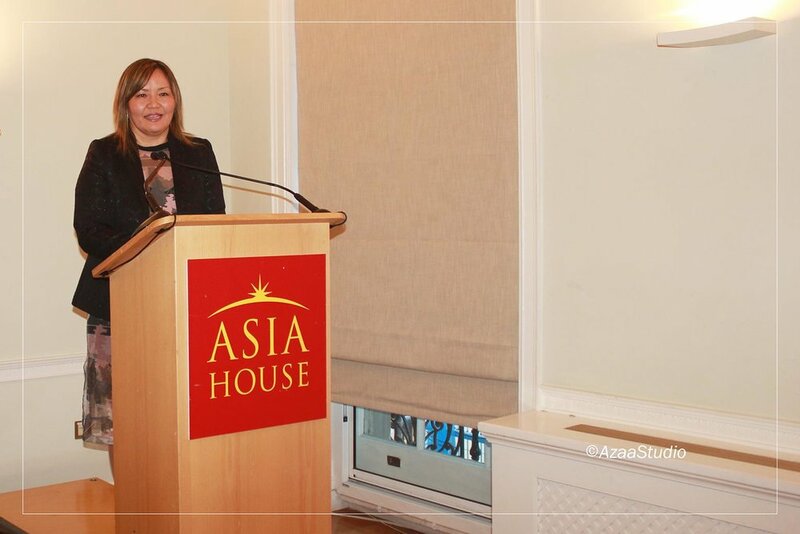 Pamela Kember, Director of Arts and Learning, noted in her welcoming speech that the Asia House management and its arts members have always been delighted to welcome Mongolian cultural events organised at Asia House and look forward to future cooperation. Co-organisers, the Embassy of Mongolia and Cultural Envoy of Mongolia Unurmaa Janchiv, would like to extend their thanks and warmest appreciation to our sponsors: Artist management and artworks by Creative Curating: www.creativecurating.org Sponsorship for artists: Goyo Travel: www.goyotravel.com Marketing and publicity by Azaa Studio: www.facebook.com/AzaaStudio AND Huge thanks to our artists: Ayana Sambuu Franco Cherri Soyol-Erdene Tserendorj (kindly introduced by Ariuna Tseyen) Mandakhtuya Dorj and our volunteers: Mongolian Association in the UK and its Head D. Tserenbat , British Mongolian Student Associaion and its President O. Odmunkh, and out voluntters who kindly helped us on the day, Bayarmaa, Ulzii, Anu, Anujin, Nomin, Baasandorj and Zorigoo.